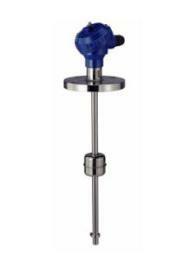 Float type liquid level meter, ideal for metering liquid level changes of in small containers and tanks. It can measure liquid level in hash environments of extreme temperatures or pressure, and positions not easy to maintain or check. Respond to changes in the electrical characteristic of the material to be measured. Can measure a wide range of materials. Harsh environments, extreme temperatures or pressures, and positions not easy to maintain or check.